Another first week of a month, another update for the Essential Phone. 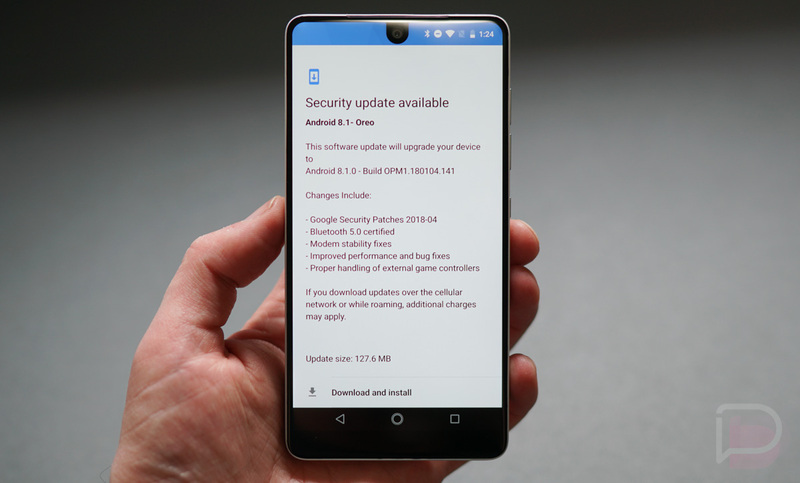 That’s right, Essential is pushing the April security patch to the Essential Phone already, just days after Google first made it available to its own Pixel and Nexus devices. That’s the norm for Essential, though, so don’t take that as me being surprised. They are really good at pushing out monthly updates. In this update, which rolls out as Android 8.1 and build OPM1.180104.141, you not only get the latest security patches, you are also getting Bluetooth 5.0 certification, modem stability fixes, proper handling of external game controllers, and performance and bug fixes. The update weighs in at 127.6MB and is available right now. As you can see from the images up top, I fired mine up, opening Settings>System>System update and it was there for me to download and install.